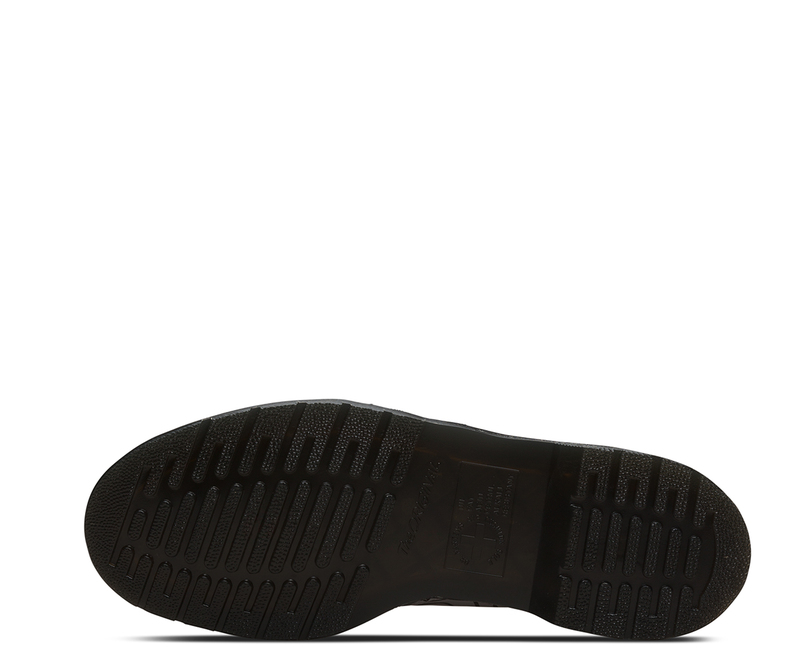 The second style we made, the durable 1461 was engineered for industry, and made iconic by generations of non-conformists. 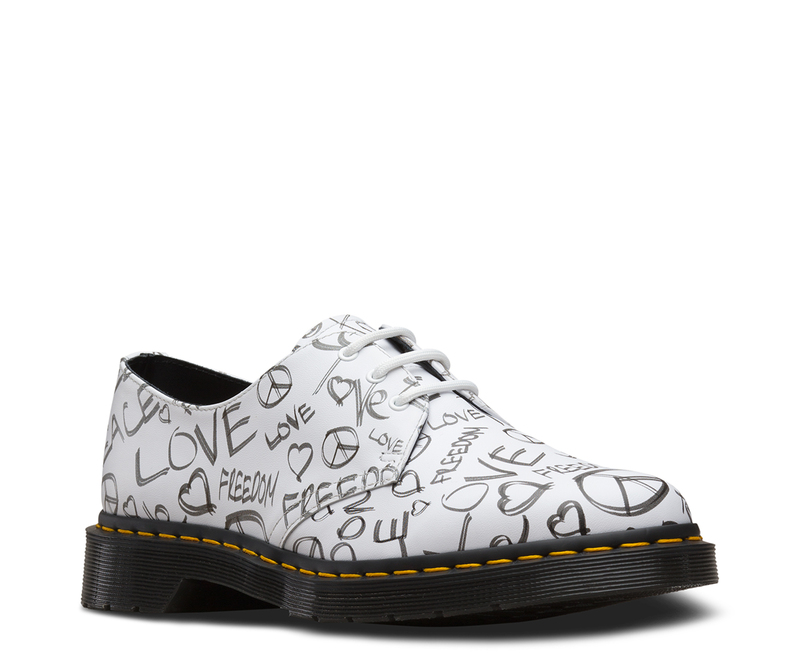 Today, the 1461 is worn as a statement of self-expression by trendsetters from all walks of life — and this version is no different. 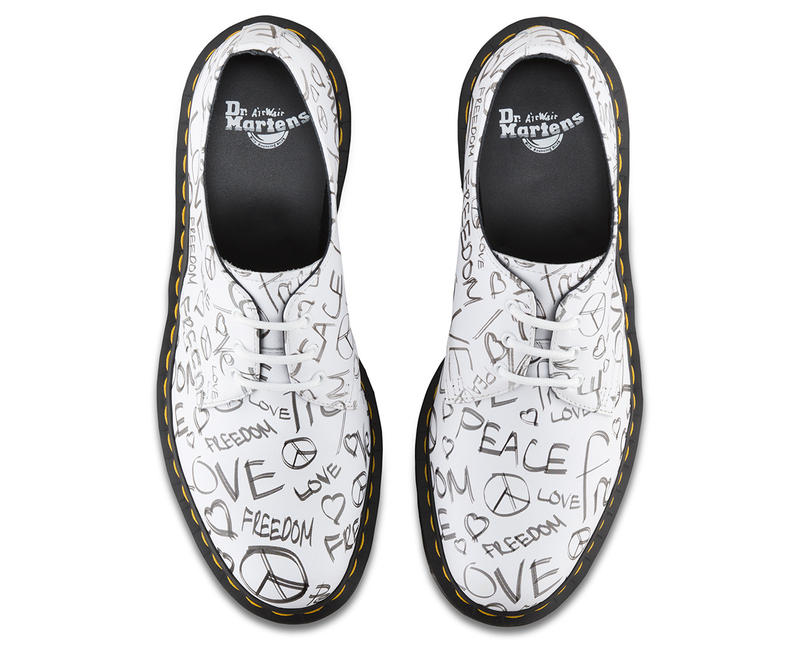 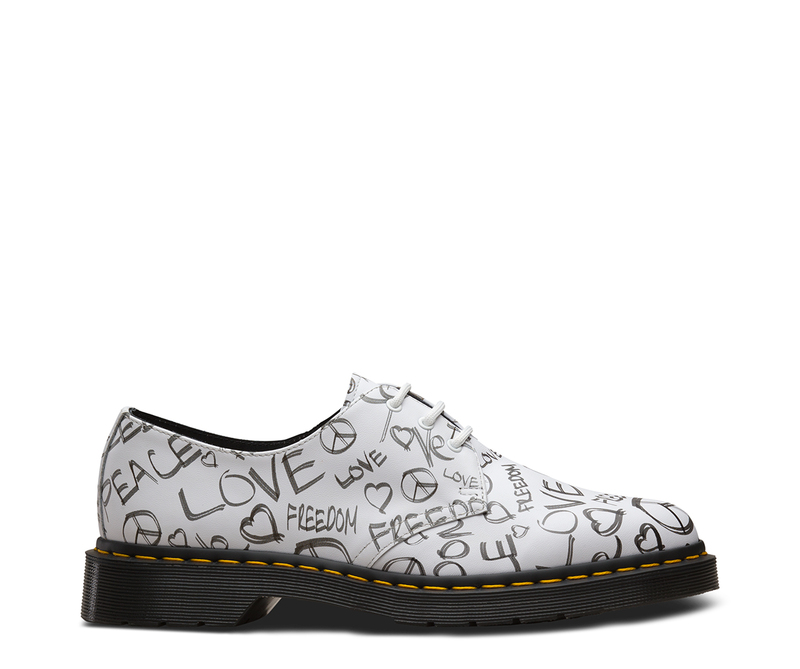 Covered in handwritten messages of peace, love and freedom, the shoe evokes the rebellious spirit of street art and protest.